Senior Infants have been learning all about Spring. We went on a ‘school walkabout’ to observe the signs of Spring and we are continuing to note the changes each week. We walked along the path towards Cork Plastics and we were thrilled to see so many daffodils ‘fluttering and dancing in the breeze’. 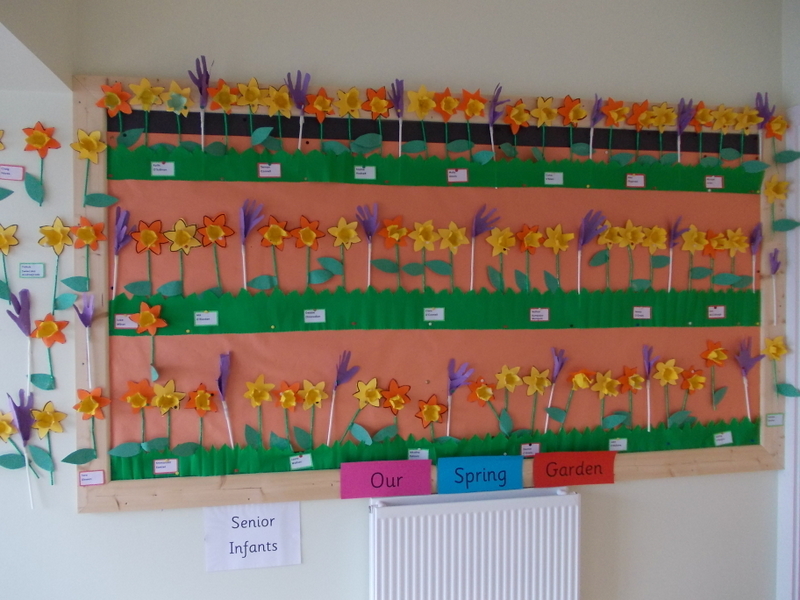 We made our own crocuses and daffodils, which we displayed proudly on the school corridor. We then decided to give them to our mums and grannies for Mother’s Day.